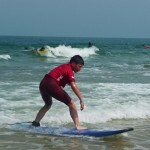 The supervision of all our surf lesson is provided by qualified professionals also lifeguards and “ocean lover” instructors. 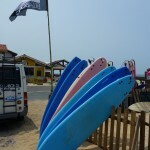 As a passionate and professional team, Go & Surf emphasizes a human approach to the ocean environment and activities . The Goandsurf adventure has begun 14 years ago, in collaboration with the municipalities of Labenne and Ondres where we were the first to believe in our passion. 14 years of teaching and tourist reception that give us today recognized expertise of all. 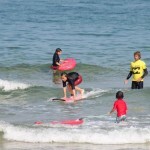 We are the only surf school that welcomes you to the nearest waves on beaches in Labenne and Ondres. With Goandsurf, the customer is the “king” , we do our best to make your stay pleasant and unforgettable. Passionate about surfing for ever, the team is structured around professionals, holders of “Brevet D’Etat” 1st (athletic coach) and 2nd degree (teacher of athletic coaches) in Surfing, Sea rescue and Lifeguard. The satisfaction of our customers is based on a quality approach that affects the entire surf delivery. It is therefore logical that our school has built since its inception the club “Promotion Surf, partner of the Departmental Committee of Landes Tourism . Go and Surf is committed to a quality approach to obtain the Qualité Tourisme recently that applies to surf schools on more than 200 criteria. Our commitment and passion come together to make you securely share the pleasures of surfing and make your stay as pleasant as possible .